FMO’s objective is to support economic growth which leads to positive social impact and is achieved in a sustainable way. Apart from mitigating negative impacts, FMO looks for investment opportunities that have a positive contribution to green and inclusive development. In doing so, a world is built in which by 2050 nine billion people can live well and within the means of the planet. FMO considers expected environmental, social and governance (ESG) impact from first investment screening, working with the borrowers and investee companies to identify criteria and define action plans to optimize this impact, closely monitoring the progress and offering support when needed. 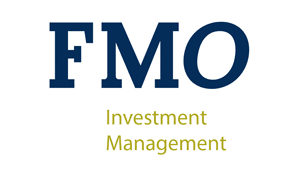 FMO uses a proprietary ESG monitoring system which tracks its clients’ progress in the defined action plans, and is an effective tool in the result driven pragmatic approach to ESG. As FMO invests with the goal of having broad economic, social, environmental and governance impact, measuring and tracking this development impact is part of our service. In order to do so a selective set of KPIs at output level is used, making sure measurement is realistic and impact is real. FMO evaluates the impact of its investments on a systematic basis - assessing the business success of the project or company, but also the extent of impact it has made on the local economy, community and environment. FMO Investment Management is able to report on 5 impact indicators and towards the SDGs. Click here to read our guiding principles on SDG reporting at fund portfolio level.